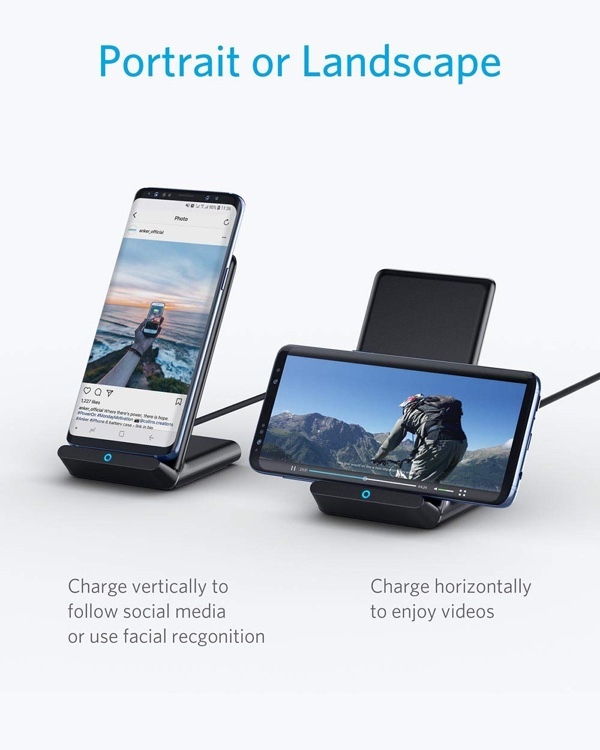 Anker is running a discount on its fast charging Qi wireless stand. It’s perfect for iPhone or Android users and packs a wonderful design that will blend right into where you place it. One of the underrated features of most modern smartphones is the fact that they can all be charged using what we can only describe as magic. We are, of course, talking about wireless charging and while it’s been around for years after debuting alongside the ill-fated Palm Pre, it’s still a wonder to behold. It doesn’t have to cost a fortune, either, and right now there’s a great little Anker fast wireless charger that can be yours for a bargain price of just $20. The charger itself is an upright affair, which means you can continue to use your phone while it charges and also see any new notifications as they appear. That’s something that many wireless chargers don’t have going for them. Beyond that there is the support for 10W wireless charging that will mean this thing can get juice into an iPhone or Android phone at the best possible speeds, assuming you use the AC adapter that came with it. There’s no adapter in the box here, so that’s perhaps something to keep in mind. There is, however, a 3-foot micro USB cable for getting power from an AC adapter and into the charger. So, what’s the deal? It’s pretty awesome, actually. The charger is already discounted, but if you clip the on-screen coupon you can save an additional $2, making this just $19.99! If you’re in need of a wireless charger, this is a great place to start.